The state of Colorado is warming to sports betting, while turning ice cold toward the leagues. In an undated document, state officials laid out the plans for legal sports wagering within the state’s borders. The document was first reported on Thursday by Colorado Public Radio. The document follows an early August opinion from the state attorney general that said sports betting could be approved without a constitutional amendment. 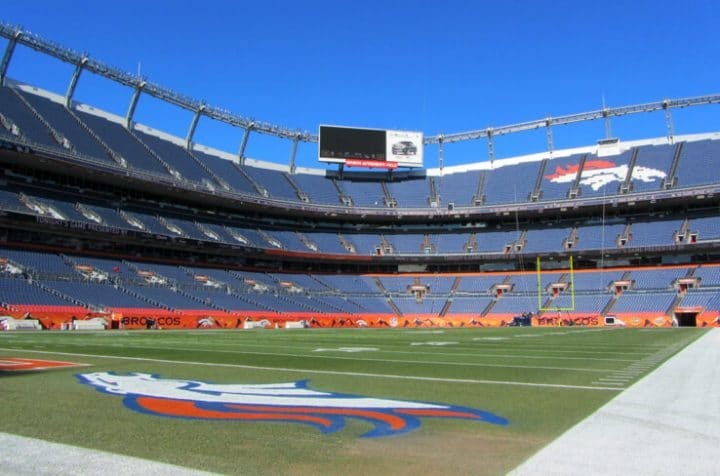 The report, which is basically a list of recommendations to the legislature, is explicitly stern with regard to the so-called “integrity fees,” as Colorado expressed a strong distrust of the major sports leagues. In other words, Colorado doesn’t want to get swindled by the NFL, NBA, NHL, and MLB, who are already projected to generate an additional $4.2 billion in revenue collectively from legal sports wagering. From there, another layer of regulation is being eyed. According to the DOR, each has its potential benefits. It’s safe to say Colorado likely won’t have the disingenuous integrity fees. If Colorado were to consider the private tax/royalty that casino operators would have to pay to the leagues, the state could require the leagues to show proof that the money isn’t simply further enriching the leagues. It’s worth remembering that the leagues cost taxpayers in the state of New Jersey millions of dollars by trying to prevent Atlantic City from having sportsbooks. “If integrity fees are allowed, it is recommended to require any league requesting an integrity fee provide proof of a verifiable integrity program,” wrote the DOR. Maybe it’s Colorado, not Michigan, that should serve as the “model,” as the Michigan lawmaker flirting with integrity fees has boasted about his sports betting plans in 2019. Regardless of the organizational model, the DOR wants online/mobile to be authorized. That would help deal a blow to the black market of offshore online bookmakers. However, part of that equation is also having a tax rate that allows companies licensed by Colorado to compete with the unscrupulous firms. “If the tax is set too high, it will discourage players from moving out of the black market,” wrote the DOR. Furthermore, Colorado evisions criminal penalties for its residents or visitors if they place a bet on an unlicensed site. That provision is a bit draconian and unnecessary with proper regulation, but Colorado isn’t gambling on gambling and will put some of the legal onus on the consumer. Colorado would give the black market some breathing room with the requirement that online/mobile sports betting account registration happens at a brick-and-mortar facility. Many Coloradans would have to drive a handful of hours to sign up for a sports wagering account, a hassle that many might not bother with. licenses. Colorado has 33 commercial casinos/racinos and two tribal casinos. Racetrack involvement with online/mobile sports betting might be a roadblock, however. One Colorado lawmaker recently characterized a 2014 political struggle between the casinos and the tracks as a “brutal fight.” The state’s casinos don’t think the tracks should have the new offering. There’s also the potential that the tracks having sports betting would actually need voter approval. Colorado will have to see some compromise.